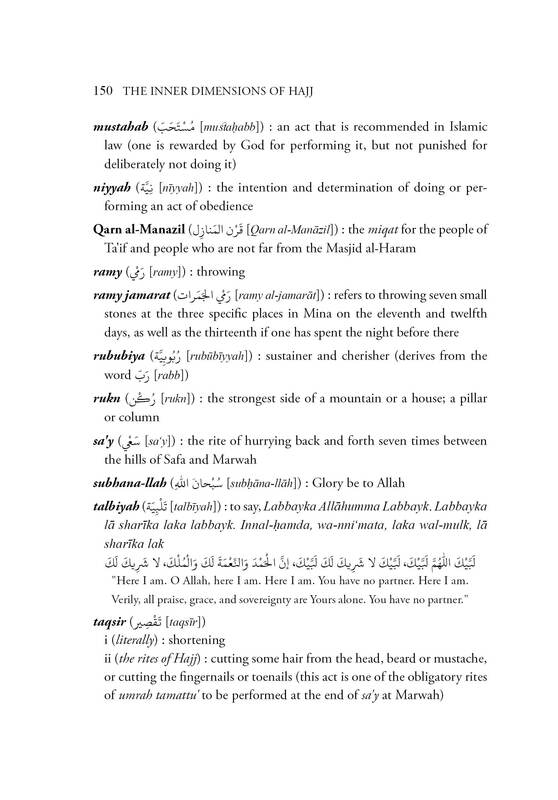 Most books on Hajj are either manuals detailing the rituals or travelogues describing the event. 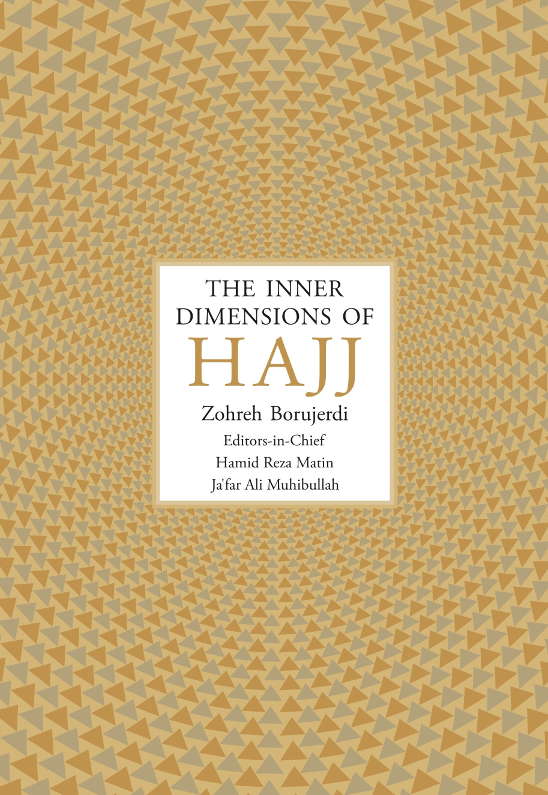 The Inner Dimensions of Hajj is different; it is a concise exposition of the deeper dimensions of this sacred journey, which is obligatory upon every Muslim who is able to perform it at least once in their lifetime. This book has been adapted from a number of lectures given by Ms. Zohreh Borujerdi. A draft of the English translation of the script was then prepared by Mr. and Mrs. Abuzar and Ashraf Ahmadi. Dr. Rebecca Masterton has reviewed, translated and revised the text, while a team of scholars, H.I. Sayyid Morteza Alawi Talari and H.I. 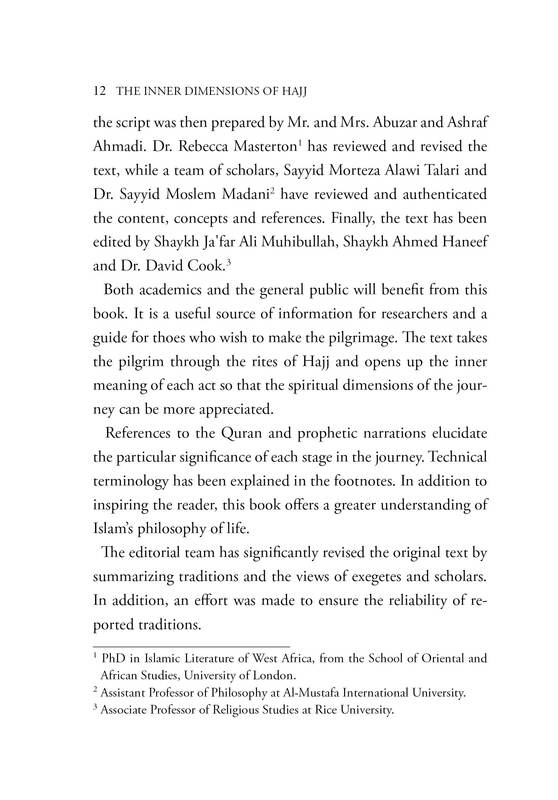 Dr. Sayyid Moslem Madani have reviewed and authenticated the content, concepts and references. 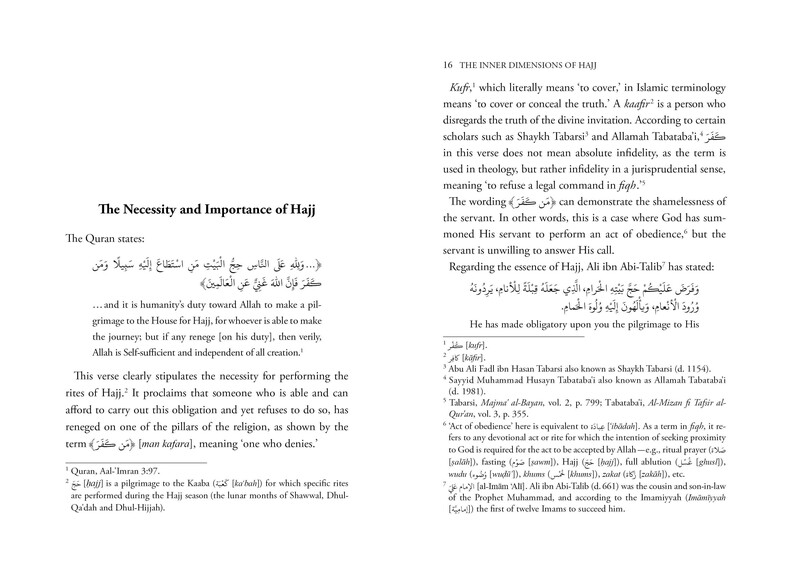 Finally, the text has been edited by H.I. Shaykh Ahmed Haneef and Dr. David Cook. 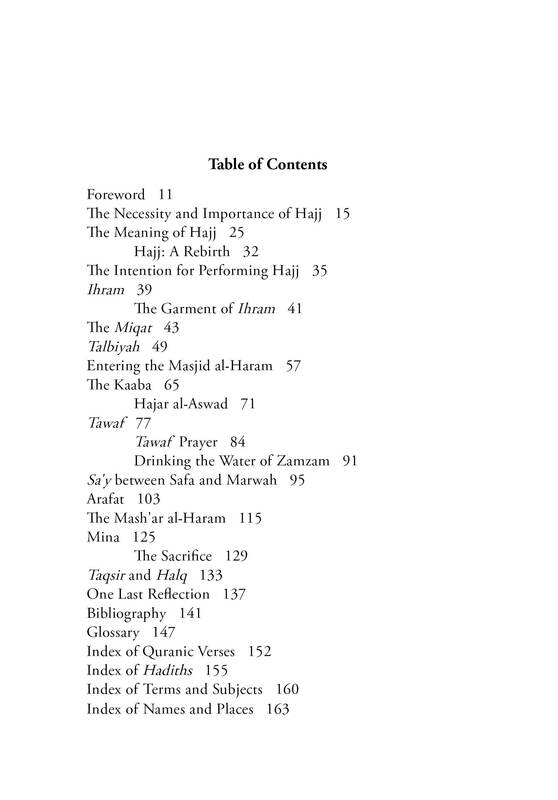 It offers a deep spiritual and mystical insight into the particular significance of the rites of Hajj and the esoteric meanings of the sacred phrases and words that accompany these rites. 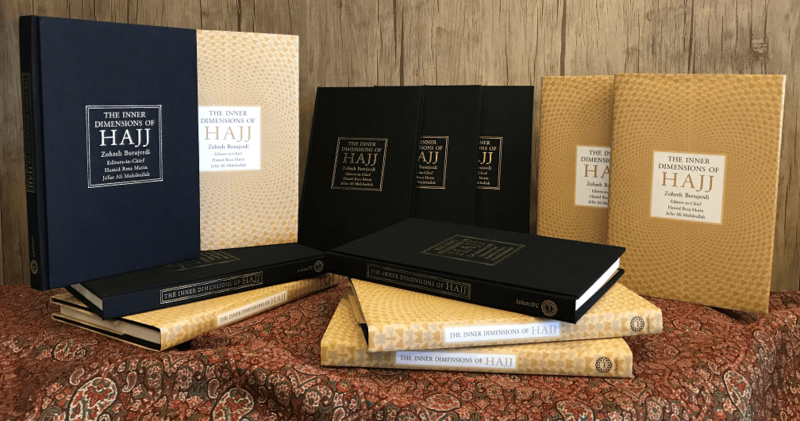 Adapted for an international audience, this book is suitable for anyone interested in learning about Hajj as a mystical journey, as well as for those Muslims who desire to answer the call of their Lord and fulfill this pillar of Islam.